I don’t know about you, but I find there’s nothing more soothing and satisfying than a wholesome chicken soup. This low fructose version (for those of us who don’t get along with onion or garlic) is packed with flavour and the vegetables add incredible colour to the dish. This recipe is my go-to in both the cooler and warmer months, and especially when I’m feeling a little run down – it always leaves me feeling reinvigorated after I’ve eaten it. The best time to make this is when you have some leftover chicken from a roast. The yellow squash can sometimes be hard to find, depending on the season, but if you can get your hands on it, it adds such a vibrant colour to the soup. 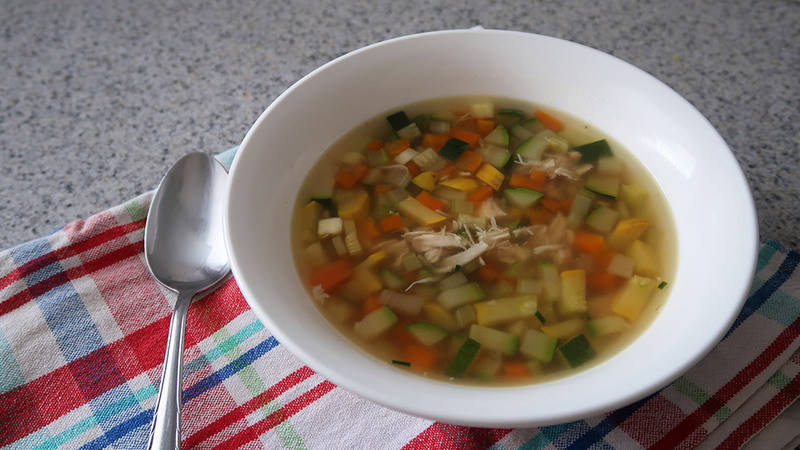 To make this meal quick and easy to prepare, I recommend using a pre-made chicken stock that is fructose-friendly. I sometimes slow cook my own stock but, I’ll be honest, I don’t always have the time to do so. 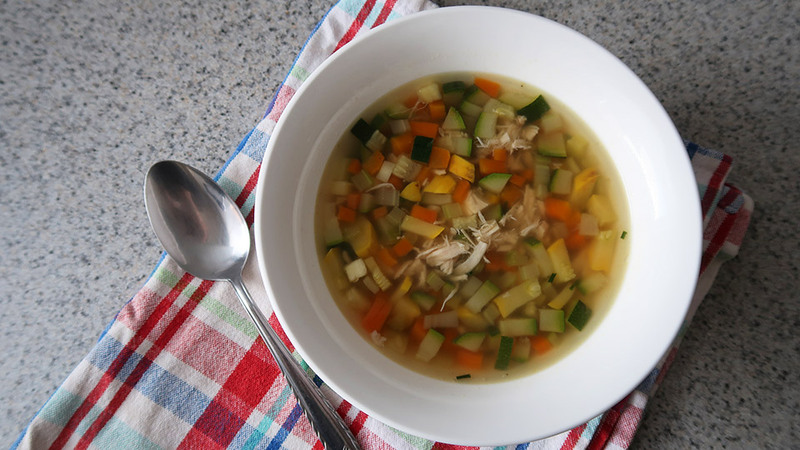 The result is a warming, hearty and healthy chicken soup. I do hope you enjoy this one as much as I do. Finely dice the carrot, celery, squash, zucchini and chives. Add a splash of water to a large pot and place on a medium to high heat. Fry off the celery and carrot to soften slightly. Add the chicken stock and two cups of water to the pot, along with yellow squash, zucchini, chives and shredded chicken. Add salt and pepper to season. 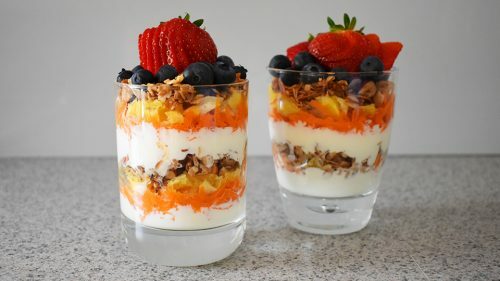 Mix well to combine all ingredients. Once soup comes to a boil, turn the stove down to a low heat and simmer for 15 minutes. At this point, the vegetables should be soft but still hold together. Turn off the heat. Ladle the soup into bowls and serve. This soup is best enjoyed straight after cooking it. 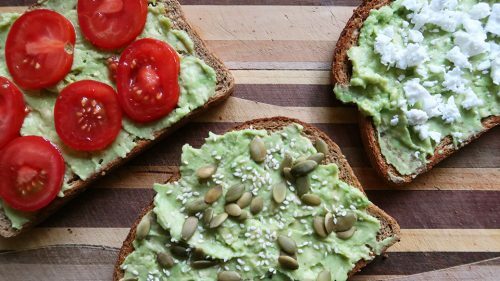 Make your avocado on toast a bit fancy by adding one of these toppings - they'll bring texture, flavour and colour to this much-loved meal. 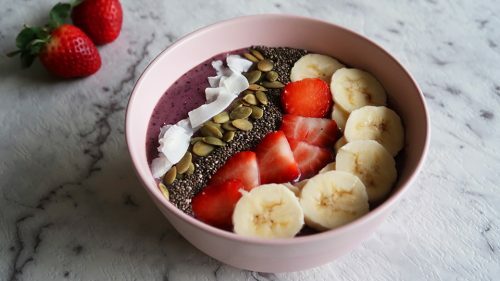 This acai bowl is so easy to whip up at home, tastes delicious and makes it really easy to pack in plenty of antioxidants and vitamins.